I wasn't sure what to expect from my first press night. There was the classic red carpet, some celebrity faces and the best part, free food! From the splendour of the night however, emerged an intriguing play which kept me guessing right until the last moment. For two hours, all eyes in Trafalgar Studios were glued to the stage for what can only be called" the experience" of seeing The Homecoming. The show explored the extraordinary in the ordinary. We meet a fairly typical family. Each individual is trying to live their own life but end up clashing with each other in the small space of a family home. What both Harold Pinter (writer) and Jamie Lloyd (Director) do is take this seemingly ordinary scenario to its extreme. The family dynamic is not broken down in front of the audience but instead explodes all over the stage to a catastrophic conclusion. The use of lighting and sound in this production added so much drama to the minimalistic set to create the intense and confusing world of this family. The sensory overload fed into the extremes the play explores. The Homecoming is not for the faint hearted and will pull anyone right into the heart of the drama. 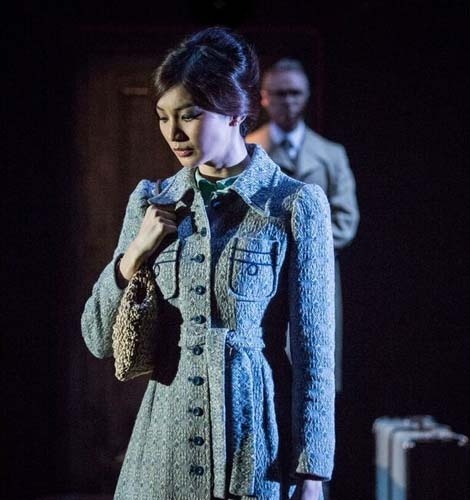 Pinter plays are famous for their portrayal of women. In this retelling of The Homecoming I was left with a sense of the power a woman can wield over others. 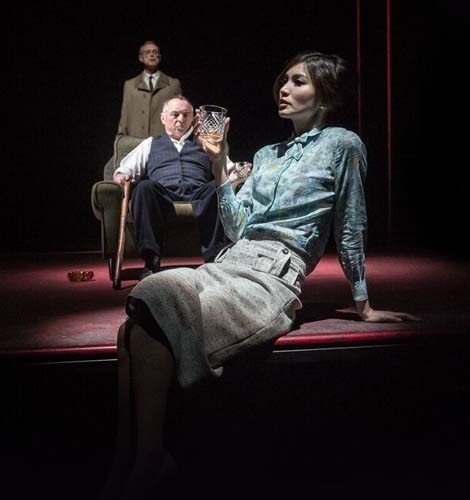 Ruth (Gemma Chan) was a women out of control in her own mind but so in control of all the men around her. This was a clever choice made by the creative team in their staging. The work of the ensemble was to create an ever changing power balance that will leave you questioning if you can ever truly be in control of your own life. Lenny (John Simm) shone with his calm exterior which made him only more eerie in his devious role as the manipulator. The audience were on their feet by the end forcing the actors to return for a second set of bows. As for the rest of my press night experience; well what happens at the after party stays at the after party!